The view from the general manager’s office at Crested Butte Mountain Resort in the Axtel Building is pretty good. It looks directly out onto the ski hill beneath the peak at the base of the Silver Queen and new CBMR vice president and general manager Tim Baker said he wasted little time in showing off his office view to his friends and family back in Beaver Creek when he reported for his new job last week. 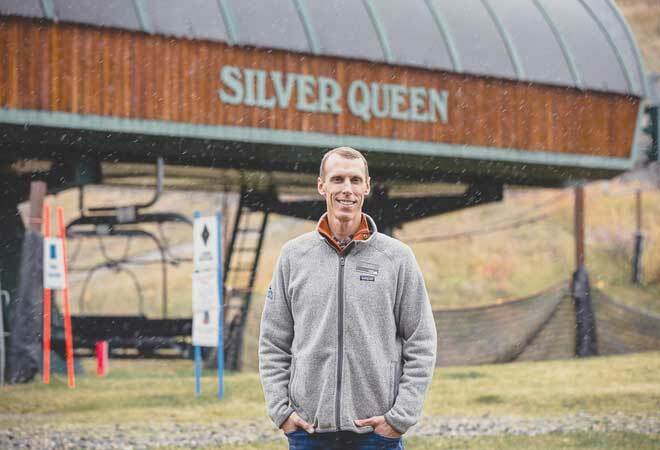 The sale of CBMR from the Mueller family to Vail Resorts closed September 27, and the new company appointed Baker the vice president and new general manager of CBMR. He comes most recently from Beaver Creek, where he was senior director of resort operations at Beaver Creek Resort. Baker has been with Vail Resorts since 2007 in a variety of roles across Keystone, Breckenridge and Beaver Creek. The purpose of this interview was not to delve into the hard news issues of Vail Resorts but give Baker a chance to introduce himself personally to the community. We’ll have plenty of time in the future to find out what he and the company think of Brush Creek, snow banks or Vinotok. I sat down with Baker and Erica Mueller, now a community liaison consultant for CBMR, in Baker’s office on Monday as a snow/rain mix tried to paint the front of the mountain an early-season white. Baker said he had been to Crested Butte previously to recreate but now he was taking the reins of an iconic ski mountain and resort. CBN: Have you had a chance to do more than work since you arrived? TB: I have not been able to do much other than work this trip. My focus initially is to get to know everyone. I want to meet the people and understand their perspectives, the culture, what this destination means to everyone. That’s my primary focus right now. I’ll have plenty of opportunity to ride my bike on an individual basis down the road. CBN: From the job situation, how do you view this place as opposed to being here on vacation? TB: What’s so amazing about Crested Butte is how distinct it is. There are so many unique attributes, from what it looks like, the type of people who are here, the passion that people have. This is a very proud destination and a very proud community. It really struck me how passionate the people are and the responsibility we have to celebrate what Crested Butte is. CBN: So what do you think Crested Butte is? TB: I see it as being a bit rugged. A bit passionate is the word that stuck in my mind a lot of the time that I’ve been here. People care. They care about one another. They care about the environment. People care about the type of experience that they are having and that their children and families are having. And then ultimately what the destination visitors have when they’re here. There’s a certain expectation of a Crested Butte type of experience and over time I’m going to figure out what that is. Being this short in the tenure I can’t sit here and say I yet know what it is. My intention in the short term is to get out and meet people and find out what that Crested Butte experience is. CBN: Do you have a goal down the line of what you want the outside visitor to think of when they hear the name Crested Butte? TB: I think ultimately, what I would love to see is just an elevated experience for those who come here to enjoy what Crested Butte is. I think the areas in which we can elevate that experience, we have to learn. We’ve got to get to know the community. We’ve got to get to know what our visitors are looking for. What our locals are looking for. And try to identify where we can make a difference. We don’t presume to think we know what that is. We’re essentially going to do an investigation period. CBN: How do the town and the resort integrate and collaborate? TB: That’s one of the most important pieces of the overall experience. I think people who come here during the winter to ski are going to go to town. So that is a piece of the experience. How do we correlate that in a way to where it is as seamless of an experience as possible? How those two things correlate is, for me, still to be learned. CBN: As for the mountain itself, it sounds like the company wants to put a Vail Resorts shine on the mountain with some upgrades down the road. Have you all thought specifically about what you might want to do? TB: We’ll spend most of our time, particularly this year, looking at the experience through the eyes of all the different stakeholder groups: Destination visitors, locals, employees, never-evers, extreme skiers. And try to assess the experience through all of their eyes so that we can determine what will make the biggest difference. We want to gain perspective. I tend to spend a lot of time out in the community and trying to learn of the history. There’s a lot of circumstances on the mountain of how lifts are meaningful to different people. All of that goes into the overall analysis to determine how we can make the biggest impact. EM: The company has said it will spend $35 million amongst the four resorts [CBMR, Okemo, Sunapee and Stevens Pass]. I don’t think Vail Resorts has a specific plan yet. There is money going toward things like the IT systems. But in all four locations they are taking the time to look at and see where there are opportunities to best spend the money in the next 18 months. CBN: Have you talked about the Teo-2 expansion? TB: I’m familiar with it to the point of looking at maps. I know where it is. I haven’t read the submittal documents. I have not read the history of it. That will be a piece. That’s a piece of all the things that we may have the opportunity to invest in over time and where that plays in the overarching experience of those who are passionate about Crested Butte. We’ll see how it all flushes out. CBN: Do you and your family plan to live in town? On the mountain? Does it matter? TB: It does matter. We’ve identified a place of residence. My wife is a planner and she very quickly scoured the community and found a great place to call home and rent. CBN: Is the family excited? TB: We have two young boys and they are very excited. They are beside themselves with excitement that they are coming to Crested Butte. They’ve had great experiences here in the past. They visited the schools last week and my oldest in second grade already got to meet a bunch of classmates. CBN: When you’re not working, what do you like to do? TB: I love mountain biking. I enjoy being on my bike. Usually if I get time away I’m with my kids. I love spending time with my boys. I’m a pretty avid reader. I love reading and listening to podcasts. So I’m a lifelong learner is how I would characterize myself. CBN: I understand you played football? TB: I did. I grew up in the Texas panhandle, so football was a big part of my life growing up. I ended up playing at Texas Tech as wide receiver and spent three years in the NFL. I was with the Steelers, Panthers, and finished in San Diego with the Chargers. CBN: So what is your favorite team? TB: Steelers. I’m a big fan. I bleed black and gold. CBN: You’ll fit in with Norton and Marchitelli. TB: John sent me a note already. CBN: A couple of things on the hill itself. Will you still allow uphill skiing? TB: That’s a piece we will be assessing and we understand that is a big part of the experience. I can’t say we’re familiar yet with what’s been in place over the years but we’ll assess that over time. CBN: What about water. Is there enough to make snow this winter? TB: Water is definitely an area I have not spent a lot of time on yet. Water and water rights is a big part of every one of our mountains. Ultimately we will be following whatever regulations are in place pertaining to the access to water that we have. CBN: Given the shortness of the transition period to Vail Resorts, is it pretty hectic? TB: The amount of support that’s available is great, and we will rely heavily on the expertise that’s here. The reputation that Crested Butte has is very strong and the leaders I’ve had the opportunity to meet so far—I feel that we are well positioned for a positive opening. EM: I’d also add that the support from Broomfield [VR corporate headquarters] is a great resource that comes with Vail Resorts. They have a massive team there that can help ensure the integration. TB: Integration and acquisitions is a big part of our company culture. While we’re navigating through the integration here locally, the rest of the company understands that they have roles in this as well. To the extent that we reach out for support in whatever fashion, there are people at the ready to provide that. EM: And not just Broomfield actually, which is something I’ve found that is cool. 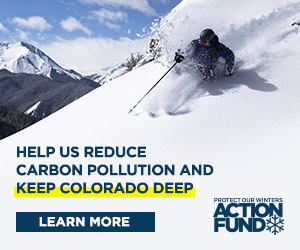 Maybe somebody from Breckenridge or Vail Mountain or Park City provides support. It isn’t just corporate. It is a whole family that comes with it. CBN: When you talk about the culture of Vail Resorts, what is it? Are you a ski company? TB: We are a ski company but we’re very focused on experiences of a lifetime. The guest experience that we deliver across the entire enterprise is our central focus. We try to articulate what the expectations should be and then we hope to exceed it. So we will focus the bulk of our attention on ways that we can provide legendary guest experience. CBN: When the resort opens—are you a skier or snowboarder? TB: I am a skier. I love skiing but I certainly welcome riders. I can’t say I’ve spent a lot of time on the board. As tall as I am I have a long ways to fall. I definitely consider myself a very passionate skier and I’ll be out on the hill as many times as I possibly can. The terrain here is nothing short of legendary. There’s such a wide diverse series of terrain that just doesn’t exist at other mountains and I believe that is what makes Crested Butte so distinct and so desirable within the ski industry. CBN: Have you skied the back here? Been on the Extremes? TB: I have not. I skied here once about five or six years ago. I can’t wait to get up and get the tour. Everybody’s been telling me that they’ll show me some amazing things. CBN: Go with someone you trust. How many days did you get last year? TB: I think I was mid-40s. Forty-five has kind of been my typical. I will likely set a higher goal than that for this coming year. I’m going to get out as much as I can. CBN: You have anything else you want to add? TB: Ultimately, we’re just excited to be here. This is an incredible time for Vail Resorts. It’s an incredible time for Crested Butte. I believe the future is very bright. The time that I’ve been here I have seen such passion here. People are proud. People are proud of this community. They’re proud of this mountain. And we look forward to honoring that. That’s mostly what I’m excited about.